Sunland Village is a 55+ retirement community in Mesa, Arizona built between 1974 and 1985 by the Farnsworth Corporation. This active senior community has 2684 single family homes, townhomes and condominiums. All are single level units, easily accessible for seniors. These units range in size from 600 to about 2300 square feet and from about $110,000 to slightly over $300,000 as of this writing. Residences might have 1 or 2 car garages. Some have golf cart storage rooms. There are about 4000 year-round and seasonal residents. Many of the units are second homes or vacation homes. Some of the seasonal residents come from as far away as Canada. These residents refer to their homes as holiday cottages or holiday homes. Community amenities include a clubhouse 2-pools, Jacuzzi, whirlpool, tennis, pickleball, bocce ball, shuffleboard, horseshoe court and an 18-hole championship golf course with pro shop, driving range and putting green. Sunland Village also has a community restaurant. This is an AZ active senior lifestyles community offering an arts and crafts club, computer room, hiking club, songsters organization, travel and leisure group, women’s club, karaoke night, ceramics room, crafts club and woodworking and lapidary workshop. They have regular speakers and bingo. The association dues are $425 per year for 2- people, some of the most affordable HOA dues in the SE Valley. This is likely due to the fact that they are self-managed. Many of the board members are volunteers. The townhouse dues are $151/month due to the inclusion of additional services. Not all Realtors are created equal. If you’re looking to buy or sell a home in Sunland Village, you deserve to have the best, most knowledgeable representation available. The very best Realtor doesn’t cost any more than a marginal one. 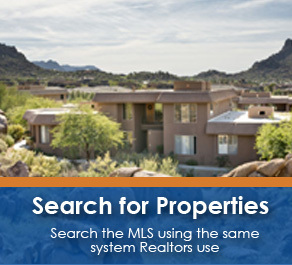 Larry Mann, ProSmart Realty, 480-797-4439 or Larry@MyAZRealEstateBroker.com or Realty2Seniors.com has 31-years of experience. He’s a Multi-Million dollar real estate producer. He is a 55+ community’s expert!